Now, here are the neutrals I picked out this time around. I especially love the shoes print, given to me by a Japanese quilt friend. A few good sewing themed neutrals in there, also. 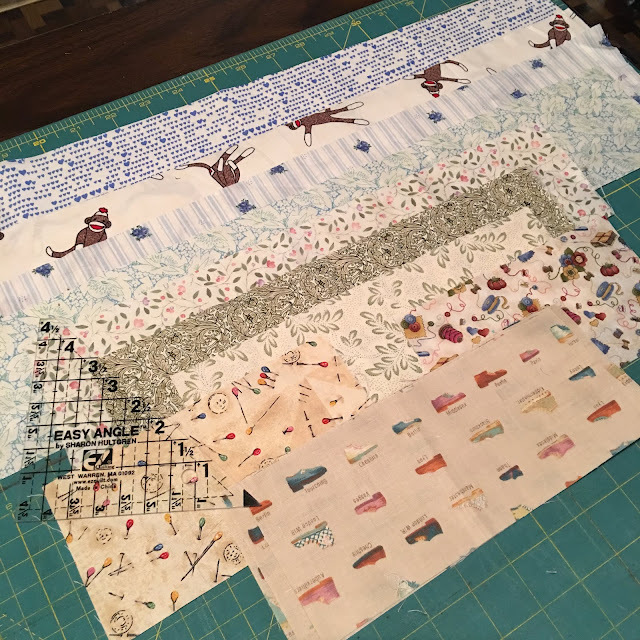 As soon as I finished clue 5, I worked on finishing my "By the Seashore" quilt. I made the blocks at a recent staff quilt retreat for Quilt Cove, at The Getaway. 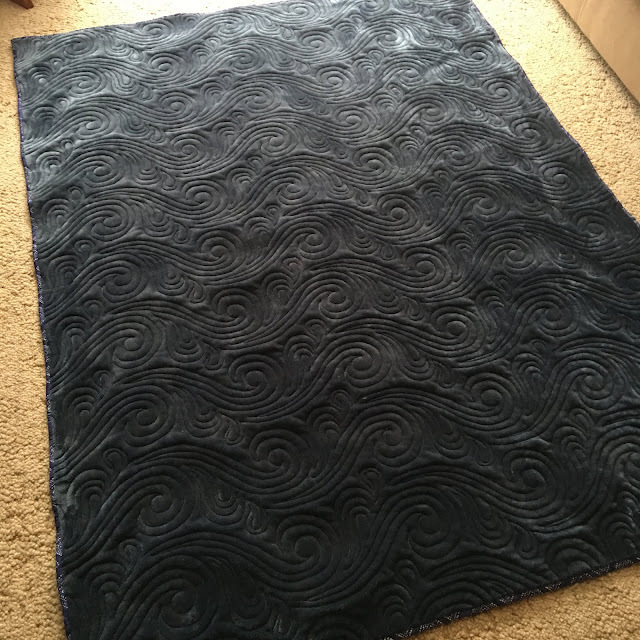 I quilted it a week ago, so just had the binding left to do. 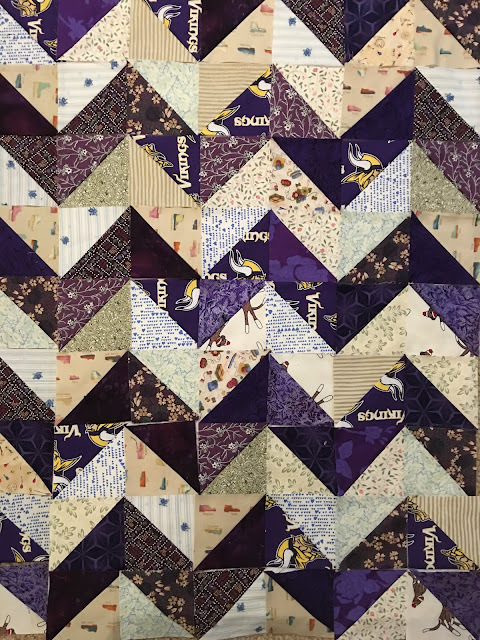 This pattern is the cover quilt from the book "Striking Strip Quilts" by Kate Henderson. 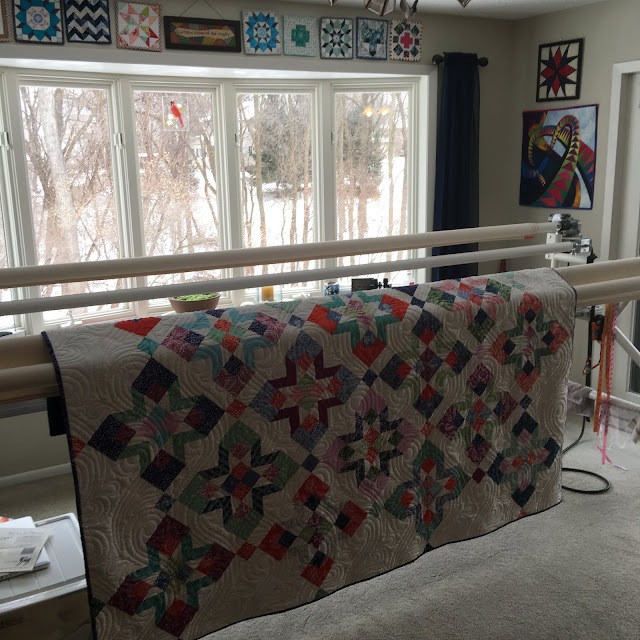 It's kind of surprising that it's a jelly roll quilt--at first glance, it doesn't seem to be. 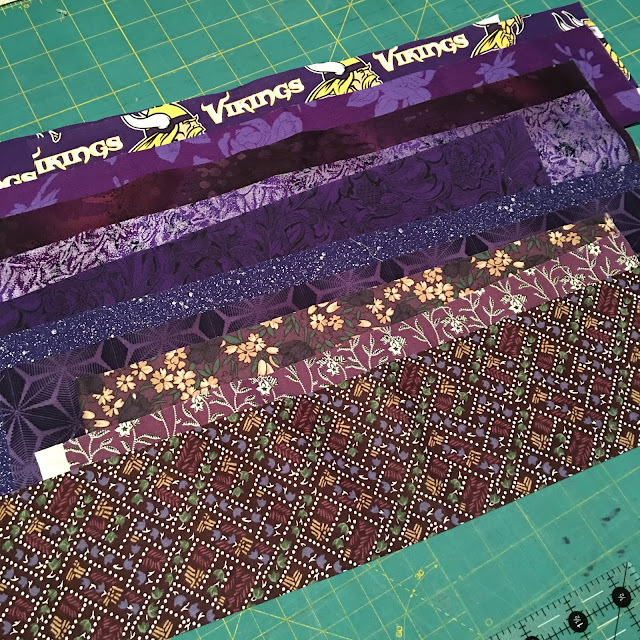 The jelly roll is batiks. The fabric line is Latitude, by Kate Spain for Moda. The white background is Grunge in vanilla. And here is my finished quilt top. 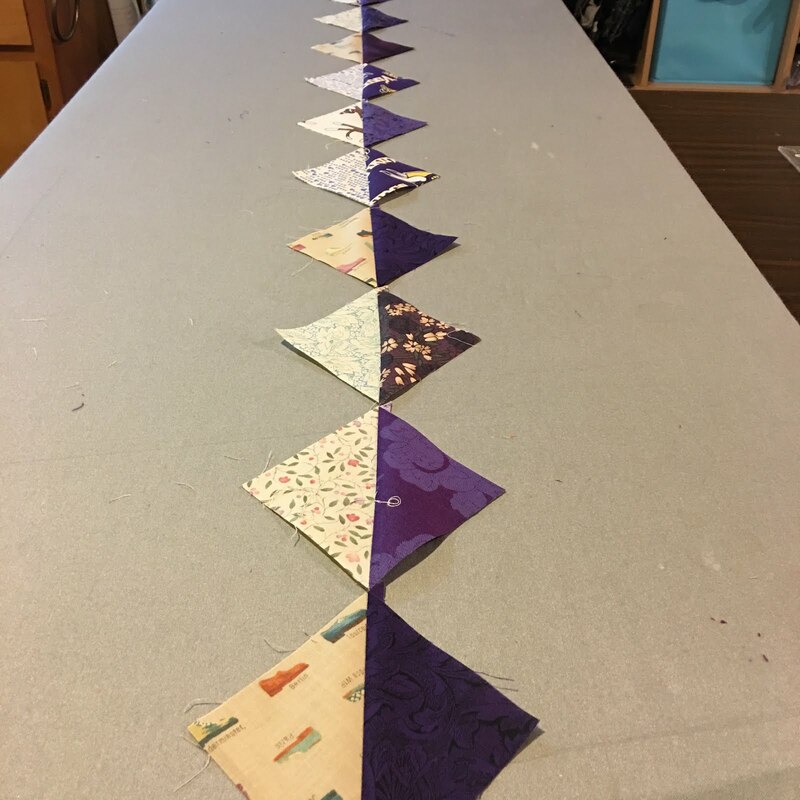 I made 5 more blocks than the pattern called for, in an effort to use up all 40 strips from the jelly roll. Plus, we're all tall in my family, so we like our quilts longer. Thanks, Hared! 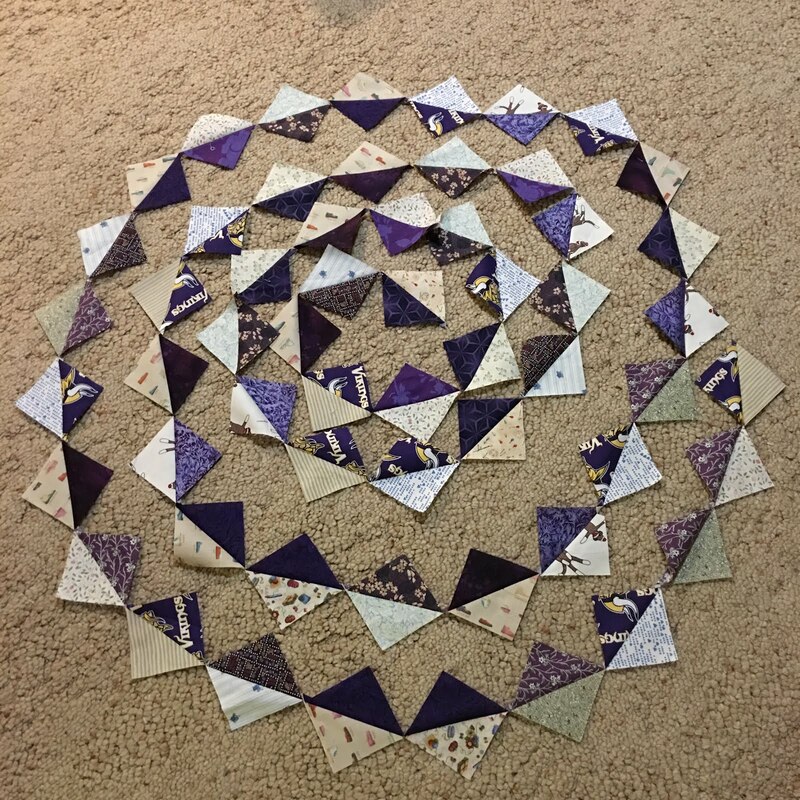 That's one of my favorite quilting designs. Thanks, Judy! 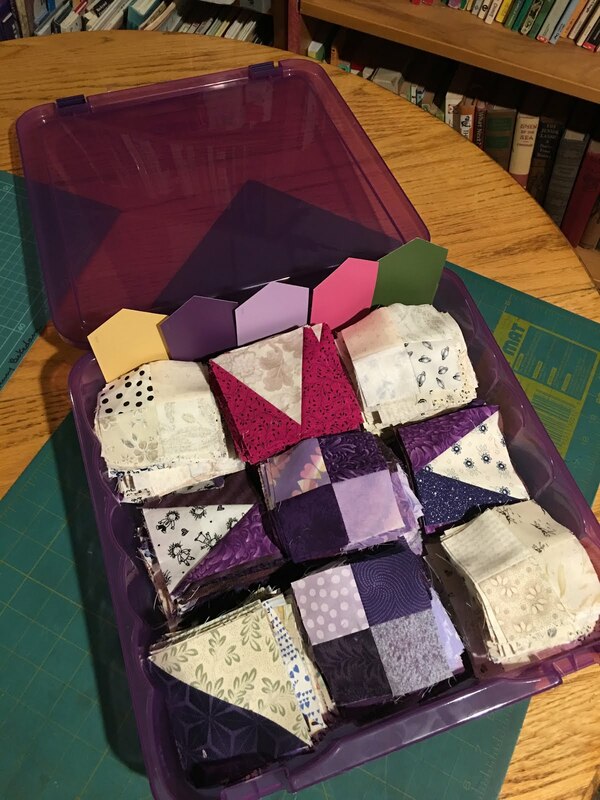 I keep having to dig deeper and deeper in the stash, therefore coming up with some really different fabrics! 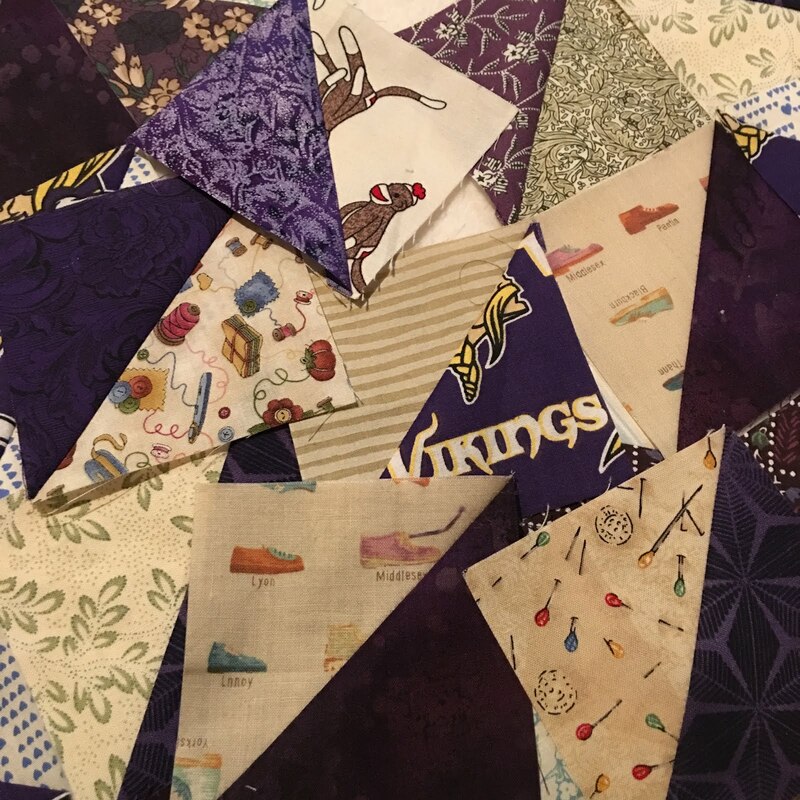 And the fleece blanket as backing makes a really comfy winter quilt!!! Hi Nancy! Really enjoyed this post a lot. 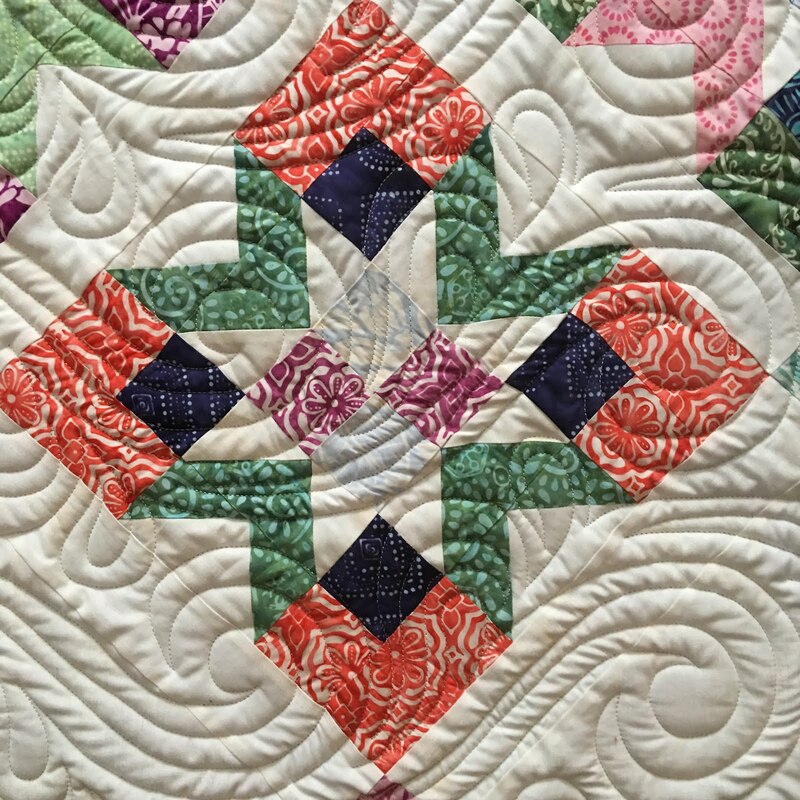 Is the quilting pattern you used done by pantograph? It's wonderful! Lovely quilting. Good progress on MQ too! Loved reading about your 'By the Seashore' quilt - thanks for providing full information. 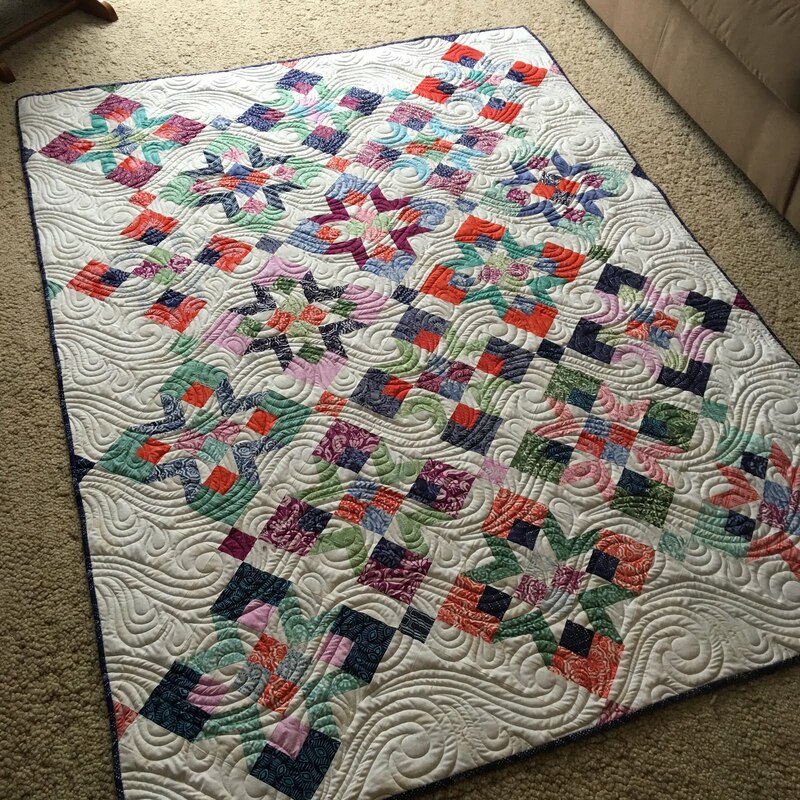 The quilting works well with the on point setting. Gorgeous stuff! Do share at #practicalmondays too!